KCCC Lifetime Stand inmates Kamoeli'i Kolo & Joshua Kaimana Preston walkaway from facility. KPD & Sheriffs notified. If seen, call 911. Kauai Community Correctional Center Lifetime Stand (LTS) inmates Kamoeli’i K. Kolo and Joshua Kaimana Preston left the facility as an unauthorized exit during open recreation. Inmate Kamoeli’I K. Kolo and Joshua Kaimana Preston are a community custody inmate in a furlough program. Community custody is the lowest classification status. 35-year old Kamoeli’I K. Kolo is 5’6” tall and weighs 165 lbs. He has black hair and brown eyes. He faces an additional escape charge when found. He is a sentenced misdemeanant with a release date of May 21, 2018. 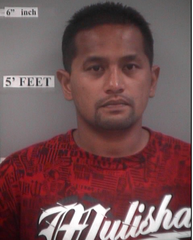 36-year old Joshua Kaimana Preston is 5’11” tall and weighs 190 lbs. He has Black hair and Brown eyes. He faces an additional escape charge when found. He is a sentenced misdemeanant with a release date of March 25, 2018. 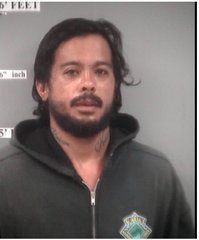 If you see inmates Kamoeli’i K. Kolo and Joshua Kaimana Preston, please call 911. Kamoeli'i Kono in the red shirt.